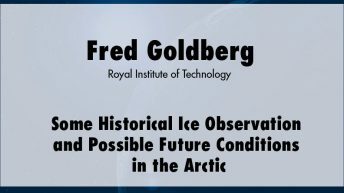 Fred Goldberg was a climate analyst and authority on polar history and exploration. He was affiliated with the Royal Institute of Technology (KTH) from 1969 to 2000, where he received his Ph.D. in 1975 and became adjunct professor that year. 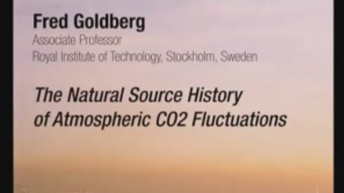 Goldberg had been an invited lecturer at more than a dozen universities around the world and participated in numerous conferences worldwide with papers about thermal cutting, mechanized welding, laser processing, and seam tracking systems. He published in more than 12 languages on those topics as well as on polar history and exploration. In 1966, he participated in the Stockholm University Svalbard Expedition with Prof. Valter Schytt and Prof. Gunnar Hoppe. 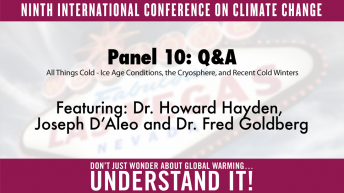 In 2004 he formed an informal international network to study and distribute information about climate change and global warming. 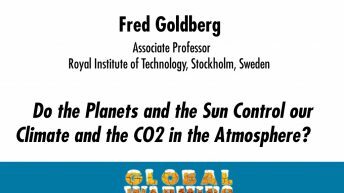 In 2006 he was appointed Secretary General for an International Climate Seminar at the Royal Institute of Technology in Stockholm. 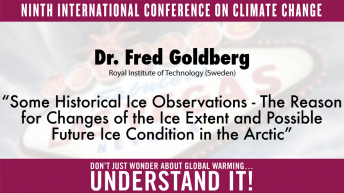 He was a frequent lecturer on climate change at civic organizations, on television programs, and to such wide-ranging groups as the Travellers Club, the Swedish Parliament, California Institute of Technology, Linköpings University, University of Copenhagen, Liberalni Institute, University of Leiden, the 9th International Conference on Arctic Mining (Norway), the 260 Club (Tucson, Arizona), and Alandia People’s Education Center.